135,000 – that is the estimated total casualty from the atomic bombing of Hiroshima at the end of World War II. The world still remembers the terrors of the “Little Boy,” but little do people know that there is an even bigger nuclear threat today. If this one blows, it won’t be at 1968 feet (600m) in the air – it will be right here on ground level. If any of the nuclear reactors in Fukushima Daiichi explodes, the world will see a disaster that is at least 20 times greater than the Hiroshima atomic bombing. It has already been more than two years since Japan was hit by one of the biggest earthquakes in the country’s history. The devastating 8.9 magnitude quake, followed by a 10m tall tsunami, left thousands of people across North Eastern Japan homeless, missing, injured, or dead. More importantly, it damaged four out of the six nuclear power plants in the province of Fukushima Daiichi. Most of Western media appears to have lost interest in these power plants, but the deadly nightmare continues to affect not just those in Japan, but everyone around the globe. These nuclear reactors were first commissioned for operation on March 26th, 1971. According to the World Nuclear Association, some 50 main nuclear power plants are stationed all over Japan and they provide approxiately 30% of the country’s electricity. 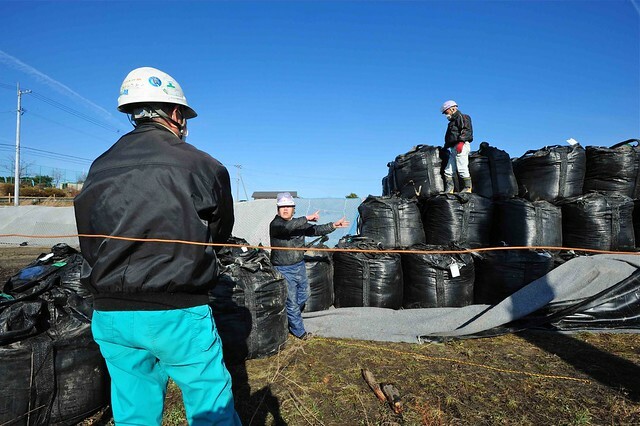 Even before the 2011 earthquake, many critics have raised concerns about the safety of these plants given Japan’s geological position that makes the country extremely vulnerable to earthquakes and tsunamis. Since the cooling systems failed on the day of the quake, thousands of gallons of seawater and fresh water are being pumped through the plants – roughly 1600 gallons an hour per plant. Three out of the four damaged reactors are reported to have partially melted. With the roof and outer walls of some plants blown off by previous minor explosions, nothing can stop these plants from belching radioactive cesium over its nearby regions. Most recently on March 18th 2013, there was a blackout in Reactors #1, #3, #4 that halted the cooling system for 29 hours until electricity was restored. The reason for blackout it still unclear, but it is no doubt a reminder of the delicate conditions of these nuclear plants. While the Japanese government has been working desperately to improve the circumstances, things are not looking very pretty. 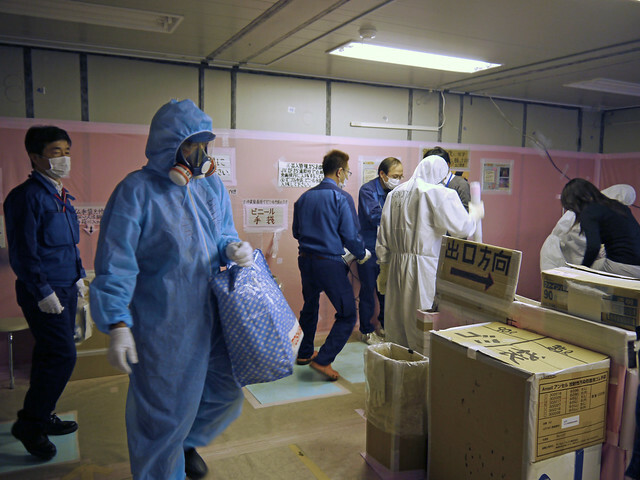 The government’s proposed decontamination project is expected to take at least a decade and cost 23 trillion yen ($278 billion U.S). Given the political chaos and economic strain of the country however, it is uncertain exactly when and how this project will effectively take place. In April 2011, Toshiso Kosako, Japanese government’s special advisor on nuclear safety resigned upon hearing that the government would increase the maximum level of radiation allowed at school sites. 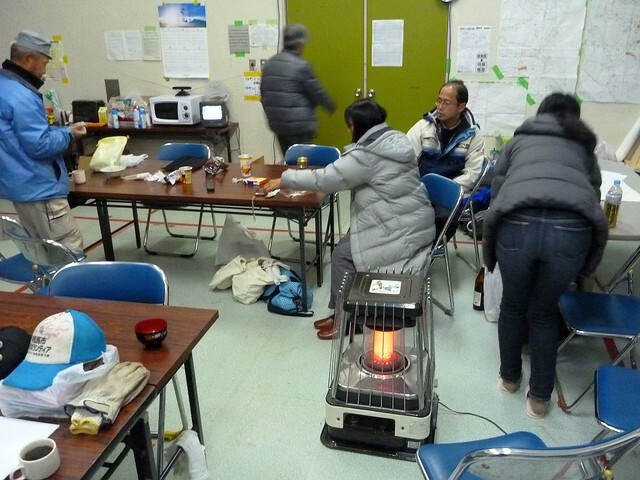 This was done to avoid shutting down roughly 3000 schools in areas surrounding Fukushima Daiichi. With the new quota, only five schools had to be shut down. A law was also passed in July to censor “bad” radiation news on the internet that contradict government controlled news reports, sparking protests against the government and future nuclear projects in Japan. The Japanese government has yet to provide a permanent solution to the leakage of radioactive substances both in the atmosphere and in the water discharged from the cooling system. Approximately 75,000 people were displaced thus far due to their communities’ radioactive contamination. To this day, most of these people have yet to return home. Japanese Environment Minister, Goshi Hosono, said that some of those displaced would not be able to return for at least twenty years. However, there is no guarantee if two decades will be enough to clear the damages done by radioactive contamination. The government has declared time and time again that they will provide sufficient housing and basic necessities (food, clothing) to the displaced. However, most evacuees struggle with lack of food, water, electricity, adequate shelter, and unemployment. Two years later, many cities around Fukushima Daiichi still remain ghost towns – quiet, empty, and deadly. In May 2012, Arnie Gundersen, a nuclear expert from the United States, took five soil samples from Japan’s capital for analysis. The samples were taken from a random sidewalk, a children’s playground, a rooftop, by a main road, and the lawn of a judicial building. Tokyo is approximately 160 miles from the epicenter of the nuclear crisis, and thus lies far outside the government’s evacuation zone. Even so, the ratings of radioactive contamination in these samples were so high that they would be considered nuclear waste in the United States. The New York Times also reported that there were more than 20 hot spots around Japan’s capital. One of them included a public baseball stadium which had the level of radioactive contamination to match some areas near Chernobyl. The evacuees are not the only victims. Millions out of the evacuation zone, including citizens and foreign tourists, are also being exposed to dangerously high amount of radioactivity. In July 2012, a group of scientists at Stanford University published a study on the health implications of radiation toll from the Fukushima nuclear plants’ radioactive leakage. The study stated that the nuclear accident could eventually be responsible for up to 1300 deaths and 2500 cases of cancer illnesses just in the regions immediately neighbouring Fukushima. If this is the case, the amount of health problems that may result from being exposed to radioactive hotspots in Tokyo will be innumerable given its massive population and continuous flow of tourists. Even those that are not planning on visiting Japan are not safe. Think about the millions of gallons of seawater being discharged back into the ocean after running through the nuclear plant. What about the immeasurable amount of radioactive substances being released into the atmosphere? Every single individual on this planet is affected, whether they realize it or not. The nuclear disaster is currently ranked 7 out of 7 on the International Nuclear Event Scale, indicating major release of radioactive material with widespread health and environmental effects. The only other event with such high ranking is the Chernobyl disaster from 1986. Cold shutdown of all six nuclear plants was declared on December 16th 2011, but complete decommissioning is anticipated to take 30-40 years. There is no precise estimate on how much damage the plants would have done to global environment and health before they are successfully dismantled. Just because it is no longer the front page news on this side of the globe does not mean that the problem has been solved. Hopefully this article will serve as a reminder for people to think twice before boarding a plane to Japan in the near future.